Honda Power Equipment has a reputation of quality and dependability. Honda machines are built to last; however, there will come a time when you need to order a replacement part or have your product serviced. When this happens, you will need to know the model number of your particular piece of equipment. The following paragraphs are meant to guide you in locating the model number for your product, address certain scenarios where you will need your model number, and instruct you on how to gain further information about your particular model. The location of your model number will vary based on what type of equipment you have. The majority of model numbers are printed on a sticker or ID plate and attached somewhere on the outer surface of the product. Also, each type of equipment has a common set of beginning letters in the model number that may make it slightly easier to identify. Model numbers on commercial mowers begin with “HRC”, such as HRC215, HRC216, HRC7113, and HRC7018/7020. Consumer lawn mowers have model numbers that begin with “HRB”, such as HRB216HXA. Model numbers on general purpose engines begin with “G”, such as G100, GX610, and GXV160. Generators have model numbers that begin with “E”, such as EB500, EU1000i, and EG5000. Model numbers on hand held products follow the Honda logo somewhere on the product, such as Honda HHT315. Model numbers on power carriers are generally located on a red sticker following the Honda logo somewhere on the product, such as Honda HP400. Pumps have model numbers that begin with “W”, such as WD30, WH15, and WDP30, and are generally located on the engine’s recoil starter or fuel tank. Riding equipment has model numbers that are generally on the engine hood or above the rear wheels. Model numbers on 2-stage model snowblowers are generally located on the back of the frame or the lower handle bar, and those on single-stage model snowblowers are generally located on the right side of the frame or the rear axle. Tillers have a model number ID tag that is generally located behind the engine on the debris shield. If you experience any difficulties with locating the model number on your product, you can contact your Honda Power Equipment experts at www.hondalawnparts.com. There are certain situations where your model number will be required. If you experience problems with your equipment, you will need your model number to assist you in receiving services or ordering replacement parts. In order to get your equipment inspected, diagnosed, and repaired at your local Honda Power Equipment servicing dealer, such as Hondalawnparts.com, they will need your model number. You can purchase replacement parts for your Honda equipment through www.hondalawnparts.com. If you need more information about your particular model, you can download or purchase a copy of your Owner’s Manual at http://powerequipment.honda.com/support/owners-manuals/lawnmowers. Paper copies of your Owner’s Manual can be purchased through your local Honda Power Equipment servicing dealer. For more information on your particular model, you may also want to purchase a Service Manual and Parts Catalog, which may also be purchased through your local Honda Power Equipment servicing dealer. You can also gather further information about your particular model with a brochure, which can be ordered at http://powerequipment.honda.com/brochures. As you can see, your model number is a very important piece of information about your product that will be necessary in many situations, especially when you need to have your equipment serviced or purchase replacement parts. Therefore, it is important to know how to identify your model number, as well as how to acquire additional assistance in doing so if needed. 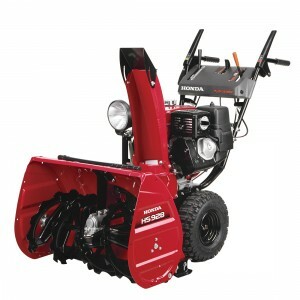 For more information, feel free to visit http://powerequipment.honda.com/support/frequently-asked-questions. Homeowners everywhere are preparing for the upcoming winter season, and that means many people are putting their Honda snowblower through the maintenance steps that come before each season of snow, ice, and sidewalk clearing. Amid all of this maintenance, though, one key area often gets overlooked: safety.